National Dog Day is right around the corner and what better way to celebrate than with a jaw-dropping, tail-wagging gift for your pup? We’ve rounded up the nine best ways to spoil your furry friend this August 26th, with everything from fitness trackers and soothing pet stereos, to smart dog feeders. 1. NiteIze Light-Up Ball – Is your pup a night owl? Go fetch this NiteIze Light-Up Ball that lets you play with your dog all day—and night. The light-up feature gives you the freedom to entertain and play with your pup after dark, because a game of fetch is the perfect tactic to tire your dog out and help them get a good night’s rest. 2. Muttropolis Dog Toys – From tacos to “Furcedes” cars, Muttropolis offers creative, plush toys guaranteed to give you a laugh and keep your pup entertained. 3. 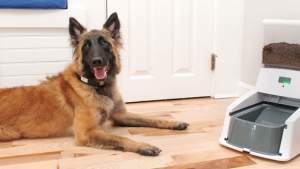 Wagz™ Serve Smart Feeder – Whether you’re home or on the go, you can count on the Wagz™ Serve Smart Feeder to make sure your dog is getting the right amount of food at the right time. Plus, get portion recommendations and have food reordered automatically before you run out – shipped right to your front door. 4. Pet Tunes Pet Soothing Stereo – Help keep your dog calm and promote behavioral balance with this Pet Tunes Stereo. This music machine reduces stress and creates a peaceful environment for your pup. 5. iFetch – No need to throw out your arm trying to keep your dog entertained and exercised. Get the Original iFetch interactive ball launcher to keep your pup active all day long. This toy will be your dog’s new best friend. 6. Insect Shield Dog & Bones Bandana – This fashionable and effective Insect Shield bandana will keep critters away while your pup explores the great outdoors. Eliminate stress about ticks and other insects with this stylish solution. 7. PAW5’s Rock N Bowl – Allow your dog to connect with their instinctive hunting and problem-solving skills by feeding them with this unique puzzle feeder. This feeder is a great option for the over-eaters and dinner-inhalers. 8. Aquapaw Pet Bathing Tool – Bath time just got a whole lot easier with the Aquapaw Pet Bathing Tool. Get your pup feeling extra fresh with this wearable tool that provides a constant flow of water and deep cleaning features. 9. KONG Stuff’N Easy Treat Peanut Butter – Looking for a good way to keep your pup occupied? Try the KONG Stuff’N Easy Treat. Just apply a small amount of Easy Treat or your pup’s favorite peanut butter inside the KONG toy and keep your pup entertained and satisfied. 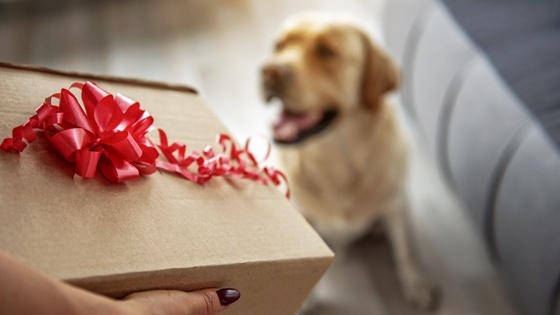 Think smart this National Dog Day with gifts that your pup will love, and you will too. For more innovative pet tech, check out the Wagz™ completely connected pet lifestyle – the only line of smart pet products that delivers more wagz and less worries.